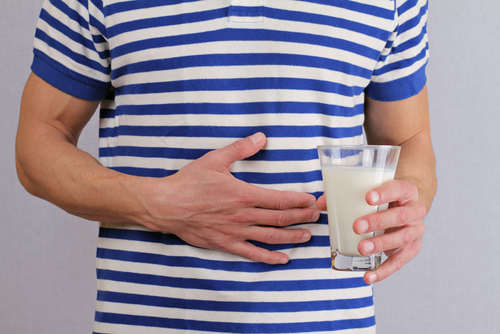 Lactose intolerance is a very common and annoying problem that many people deal with. This issue which usually comes along with gas, bloating and other digestive problems is the result the body lacking an enzyme to break down a sugar in milk, that we know has lactose. Without this enzyme the body isn’t able to further breakdown lactose sugar and without doing so the body isn’t able to absorb this nutrient. This in turn makes the body flush this nutrient out of the system hence why many people who have lactose intolerance suffer from frequent cases of diarrhea when they eat dairy. With all this being said there are types of dairy products that are much easier on the digestive tract, so if you don’t want give up eating dairy you can try these alternatives. What Are the Best Dairy Products to Eat for People With Lactose Intolerance? The first thing you want to do is pick up some lactase from your local Health Food store. Like most any other supplements quality of the enzymes here is going to make all of the difference in the world. These enzymes are what your body is missing when it comes to breaking down and digesting sugars found dairy products. This is going to eliminate all of the bloating, gas, and general discomfort comes along with been unable to digest dairy products. Make sure that you take these enzymes prior to eating your meal to ensure that the food should be are going to be properly digested. Eating fermented dairy products, such as yogurt is going to have all your body with beneficial bacteria, otherwise known as probiotics. Consuming these probiotics will provide your body plenty of the bacteria that produce the lactase enzyme which breaks down milk sugar. This is not only going to help with your lactose intolerance, but is going to improve the digestive process overall. Probiotics are also going to help you better digest other foods and in turn provide you a few more nutrients instead of flushing them out of the system. You’re someone that is a vegan or just someone who doesn’t want to be animal products, there are other alternatives out there as well. Fermented vegetables which are very common in various Asian cuisines also a great way to provide your body these beneficial bacteria. This is not necessarily something that’s going to help with your lactose intolerance, but you are going to have to eat more of foods rich in calcium to make up the difference. This is because many of the dairy products which those of us were lactose intolerant cannot eat are the foods and was rich in calcium. Let’s face it, most people are getting enough of their vegetables which are another great alternative to dairy products when trying to get a calcium we need. As far as vegetables are concerned, you want to be eating dark green leafy vegetables as these are going to be the ones that are the most rich in calcium. Kale, broccoli and spinach are some vegetables if you should look to pick up the next time you go grocery shopping. Eating monounsaturated and polyunsaturated fats is going to provide your body of the nutrients it needs to repair the damage done to the digestive tract as a result of the lactose intolerance. Your body being unable to process lactose causes an immune response the digestive tract hence the uncomfortable feelings that come as a result of eating dairy products. Foods such as olive oil, sunflower oil, rapeseed oil and other plant based oils are the ones that are best going to help not only repair damaged done to the digestive tract, but also to kill bad bacteria, fungus, and other microbial growths that occur in the digestive tract as a result of eating dairy. 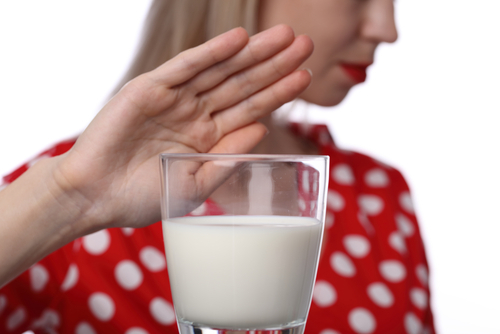 Is There Any Way We Can Avoid Lactose Intolerance? Unfortunately are many people the answer to this question is no, unless they supplement their diet proper enzymes, probiotics or foods containing aforementioned. This is because the vast majority of us suffer from lactose intolerance, as it is predetermined by our genetics. Virtually the same way in all mammals, as they only consume milk while their infants and move to other sources of food as adults. This means that inevitably the vast majority of us will lose the ability to create the enzyme lactase hence why we have to supplement it elsewhere.